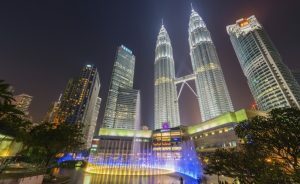 HSF plans to open an office in Kuala Lumpur in May 2017 and will focus primarily on transactions, disputes and Islamic finance. It will become the second international firm to have an office in the country after Trowers & Hamlins obtained the first Malaysian QFLF licence in 2015. The scheme, which was introduced in 2014, allows foreign firms and lawyers to practise foreign law in Malaysia. Baker & McKenzie has a long established presence in the jurisdiction through its local member firm Wong & Partners since 1998. HSF is yet to finalise details on staffing or appoint an office head, but it is expected to have six lawyers on the ground for the launch, including two or three partners. HSF joint CEO Sonya Leydecher said the firm has been working with Malaysian clients for over 20 years and the new office will offer them “legal expertise on the ground in Kuala Lumpur, providing easier local access to our international network for their overseas business”. Justin D’Agostino, the firm’s regional managing partner for Asia and Australia, added that the firm is increasingly busy with both transactions and disputes involving Malaysian clients. “Malaysian corporates are getting bigger, stronger and sophisticated. They’re increasingly investing around the world and looking for international counsel to work with their local counsel. They are a big part of our Asia business. Having a strong team on the ground will deepen and strengthen these relationships,” D’Agostino said. Most recently, the firm has advised Malaysian telecoms giant Axiata on a $600m investment in its telecoms infrastructure company edotco. Other major clients it has worked for include Petroliam Nasional Berhad and Sime Darby. On the disputes front, the firm has recently acted in a major arbitration case, representing the Malaysian government in the ‘Railway Lands’ arbitration against the Republic of Singapore. According to The Lawyer’s South East Asia Elite report 2016, HSF has the third largest practice in the region among international firms. It had 26 partners and 142 other lawyers across Bangkok, Singapore and Jakarta (through local association firm Hiswara Bunjamin & Tandjung) in 2015. The Malaysian launch will give HSF its ninth location in Asia and fourth in South East Asia. Malaysia moved to liberalise its legal services sector in June 2014, allowing foreign law firms to establish a presence in Malaysia for the first time through the QFLF licence scheme. The new regime also permits foreign firms and lawyers to form a joint venture, officially known as an international partnership, with Malaysian firms, owning up to 40 per cent foreign equity in the JV. So far, only two firms have taken advantage of the liberalisation to apply for a QFLF, but interest from UK firms and chambers has been growing gradually. In April 2016, DAC Beachcroft submitted an application to the Malaysian Bar Council for a licence to form a JV in Malaysia. In 2014, London set 39 Essex Street set up a base in the Kuala Lumpur Regional Centre for Arbitration.